Unlike other major sports tournaments “Rugby Union World Cup” do not offer any prize money for the participating teams teams or players. Instead its the teams home rugby associations which pays players fixed bonuses (defined before the competition) on the merit of team fulfilling the objectives. For example New Zealand “All Black” players were rewarded with $100,000 each for winning the 2011 World Cup. So just like “All Blacks” most of the rugby unions offer their teams bonuses for reaching specific goals. England players will get around $350,000 each if they were to get their hands of the Rugby World Cup trophy Webb Ellis Cup. here are some of the disclosed bonuses offered by different unions around the world. 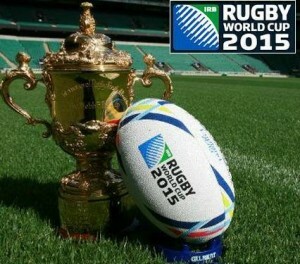 England and Wales the hosts of 2015 Rugby World Cup will be paying IRB a tournament fee of around $80 million which is around $25 million more than compared to what New Zealand paid for hosting 2011 Rugby World Cup. It important to note that IRB “International Rugby Union” is expected to make record revenue during 2015 World cup with over $400 million is expected from different sources like Broadcasting rights, Sponsorship, Tournament Fee and gate receipts (although revenue from gate receipts is kept by home union hosting the world cup). So what does the participating teams get ? well once the final income is confirmed after the world cup, IRB then distribute funds among participating rugby team’s unions according to undisclosed percentage. IRB keeps administration fee plus funds for future development programs rest is distributed among country rugby unions.